When a pedestrian is hit by a car, injuries can be severe. Aside from “simple” broken bones, cuts, and scrapes, internal injuries are often involved, even when the car’s speed was low. At Peterson Law Offices, our Oregon Pedestrian Accident Attorneys see many pedestrian vs. car accidents each year. Unfortunately, some pedestrian accidents become wrongful death cases. But regardless of the nature of the case, we fight hard for our clients to ensure the best outcome possible. No amount of compensation can bring back a loved one, or restore an injured brain to normal, but proper compensation is an important right for victims, not only in Oregon but elsewhere too. After an accident, the primary concern is medical attention. After receiving medical attention, contact the Oregon Pedestrian Accident Attorneys at Peterson Law Offices. We will let you know of your legal rights, what the next steps should be toward your full recovery, and we will work on your behalf from that point on. No one likes working with insurance companies on a good day, but they can be truly unbearable after an accident. Insurance companies aim to settle cases quickly, because they know that injuries are usually compounded with time. These are the subtle soft-tissue injuries that can hurt just as much as a broken bone but may not appear for weeks. According to the National Highway Traffic Safety Association, each year nearly 5,000 pedestrians die in a vehicle-related accident. Even more report as suffering injuries related to the accident. A pedestrian can seek compensation when the accident is due to another’s fault or negligence. However, it is critical that the injured party can provide evidence of the negligence. Pedestrian accidents occur due to distracted driving, speeding, and failure to yield the right of way. Other causes include disobeying traffic laws, disregarding weather conditions, and driving while under the influence. As a pedestrian, to avoid pedestrian accidents, there a a few things you can do. Never ignore the signals at an intersection and avoid d isrupting the flow of traffic. Always use the crosswalks and never run directly in front of a vehicle. Practice due diligence and protect yourself. The majority of pedestrian accidents typically occur when it begins to get dark. Always remain visible when you are on the road. If you have been the driver involved in a pedestrian accident, it is important to know what to do immediately following the accident. First of all, drivers should be aware of what fault means and how the damage and injuries will be compensated. You will also want to learn ways in which you can try to avoid these types of accidents altogether. Immediately after the accident, stay calm and focus. Make sure that everyone is safe and away from danger. Only perform rescue efforts like CPR if you know how. Next call for help. The police, a rescue team, and then the insurance company for everyone involved. Finally, when the police arrive, always be truthful. Tell them exactly what happened as you remember it. This is also the point in which information is exchanged between the involved parties such as your contact information as well as insurance information. If you choose to contact your attorney then you should also avoid any statements that admit fault until you have the chance to speak to someone. In the case of a pedestrian accident, the biggest question asked is who is at fault. Sometimes it is easy to tell if the accident was due to the carelessness of one of the people involved. Proving a violation of traffic laws is one of the easiest ways to prove fault after a pedestrian accident. Other times an actual in-depth investigation may be required in order to determine fault. A police report will be drawn up and filed and the insurance company may feel the need to dispute the findings. 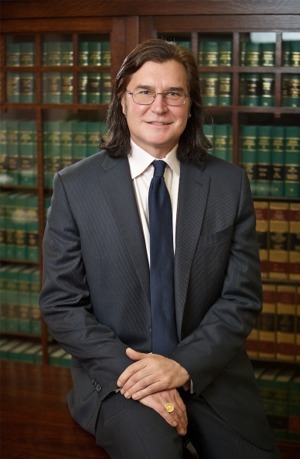 An experienced attorney will be able to guide you through the entire process. Knowing what to expect is important. Asking questions is also important so you are well aware of your rights in the situation. A personal injury attorney will be able to help you argue your case if the insurance company found you largely at fault. They will help you get all the compensation you deserve because of the accident. Failure to follow posted speed limits and failing to yield are the two biggest contributors to pedestrian accident cases. In some cases, the pedestrian may actually share the responsibility of the accident. The pedestrian prematurely walking into traffic before the Walk light is signaled is a good example of sharing the blame. A wrongful death claim in a pedestrian accident arises when the driver’s negligence causes death. In a wrongful death case, the victim’s family is entitled to receive compensation. The compensation can help the family replace lost income, pay final medical bills, and can bring justice and peace for the victim by making the negligent driver accountable for their actions. The compensation can help the family replace lost income and pay final medical bills. Compensation can also bring justice and peace for the victim by making the negligent driver accountable for their actions. Don’t let the insurance companies make your pedestrian accident aftermath worse than the accident itself. Get an advocate to back you up immediately–contact Peterson Law Offices. We’ll help you recover as much of your normal life as possible, as soon as possible.